There are so many fun things to do with the new dies from Avery Elle like shakers (you knew that was coming, lol)! 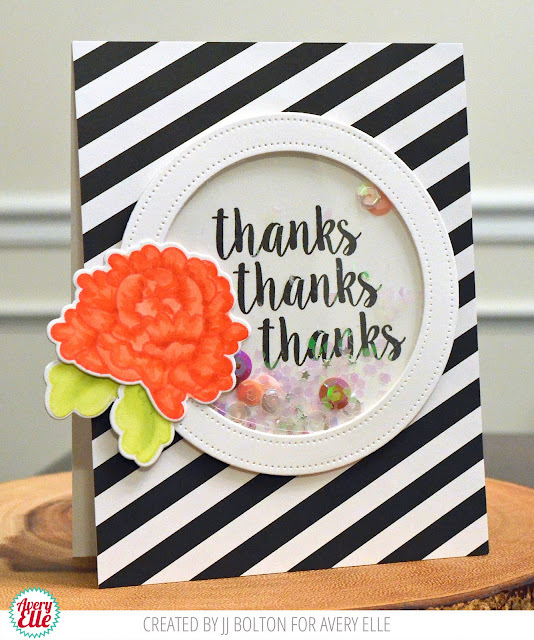 This card uses the Pierced Circles dies, Peonies stamps and dies, and a bit of paper from the Neutral Collection paper pad. The flowers and leaves were softened up a bit with some shading using Copics just to contrast with the bold black and white background. That's it for me today! Thank you SO much for stopping by! I totally agree with Happy Dance! Thanks for sharing your talent. Blessed Friday with Neat and Tangled!